Feel fully updated at any second. Real-time mode shows you only what happens shortly. 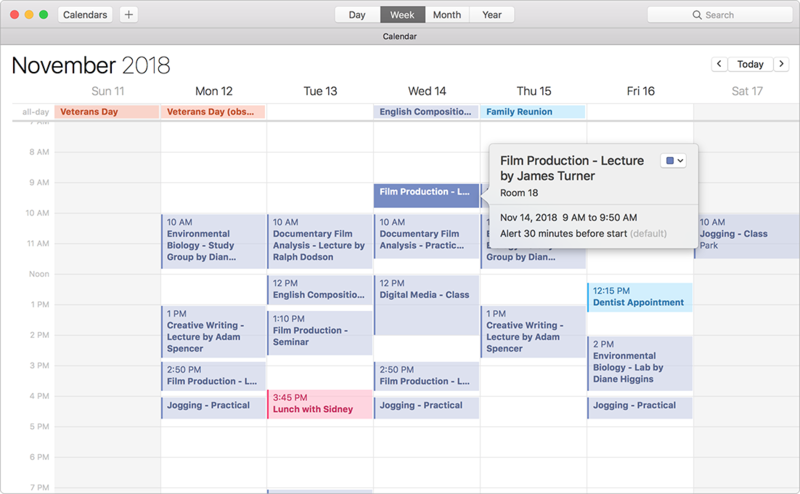 Embrace a comprehensive view of your schedule on any day. Quick edit option is right there for you too. So tiny as they are, but color dots give you so much understanding of what’s going on. Watch out those bold dates hiding assignments due! 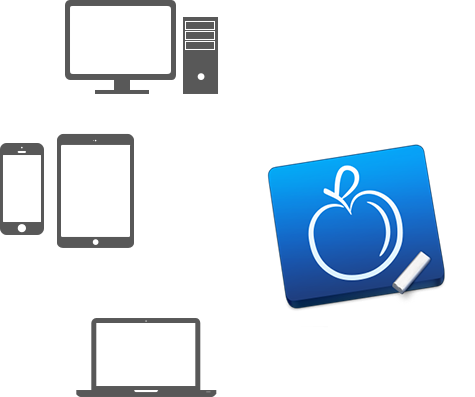 Vivid presentation of your classes AND tasks. Get in control over your homework before it takes control of you. Here is a shrewd tool for you. Sort your tasks by date, course and priority, set due dates and track your marks or grades received. Quick edit the details of each assignment. Planner is where your schedule starts and ends. 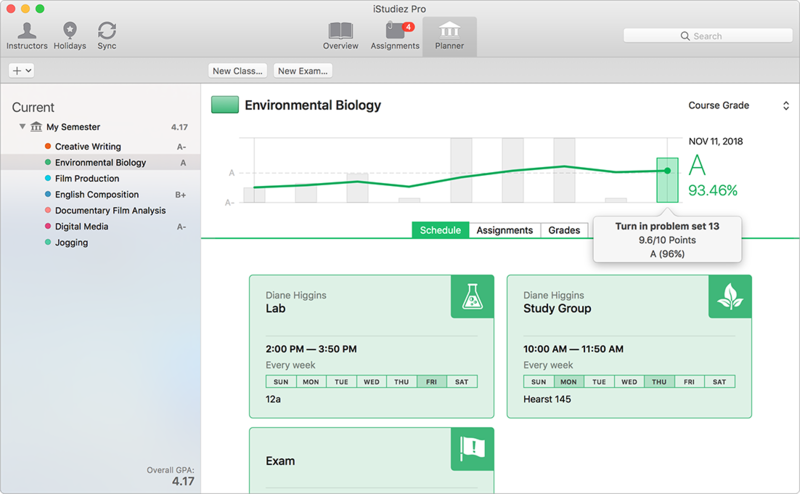 Use Planner to manage your courses and classes details, locations, instructors info, holidays and grades. 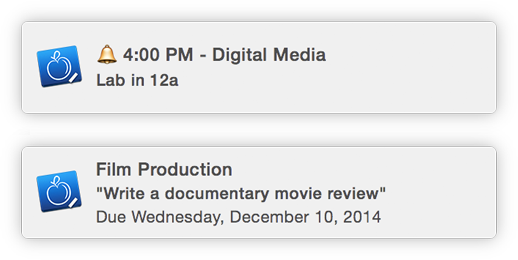 Good planning is half way to nice grades. See for yourself using our Grades Graph! Subjects and optional courses sorted by semesters. Track your course grade and Overall GPA here! Quickly access the details of each class to edit. Windows PC, Mac, iPhone, iPad, and Android. 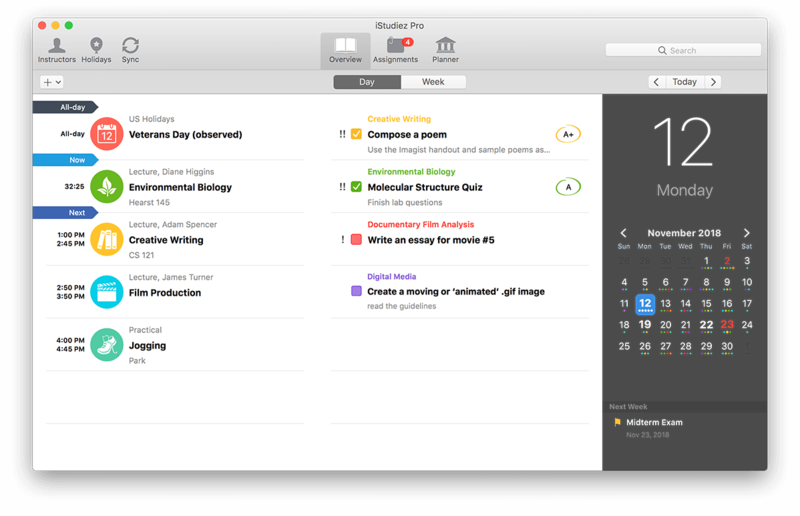 iStudiez Pro data is in your every device and in seconds. Input once and have it all synched across automatically and momentarily. Never easier to calculate your grades and track your GPA progress. The GPA calculator was developed with ideas from you and with you in mind. Percents, points, letters, it calculates everything! 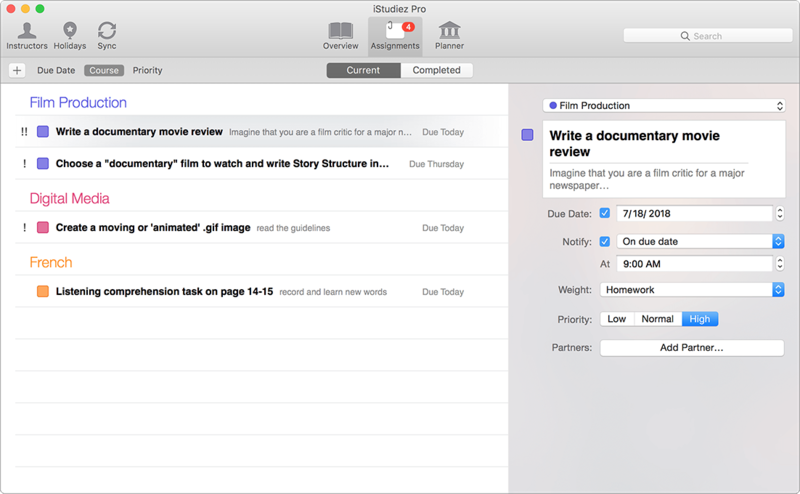 Two widgets, one for schedule and one for assignments, to save your time and let you start your day with your mind neatly organized. No need to say much. You are notified and you are in time. Should you decide to turn it off, well… there is nobody else to blame! 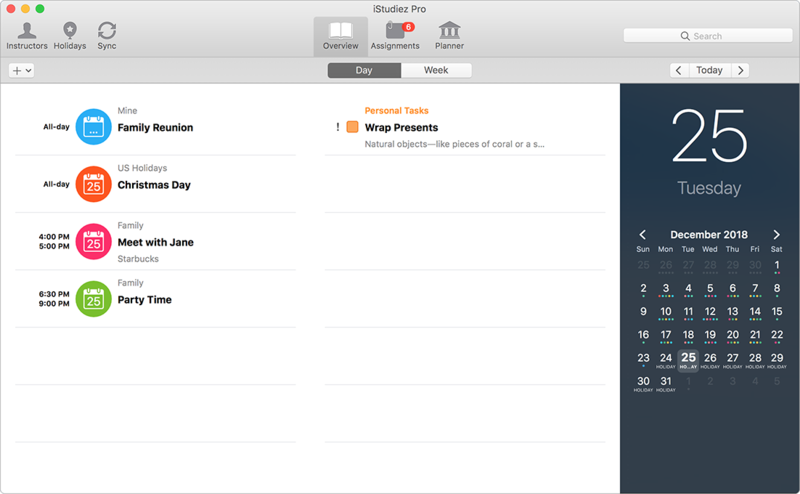 Should you wish, you can see Calendar app events in iStudiez Pro. Wish to share the app’s schedule to other calendar apps? No problem. Want to share with your mates? Easy. 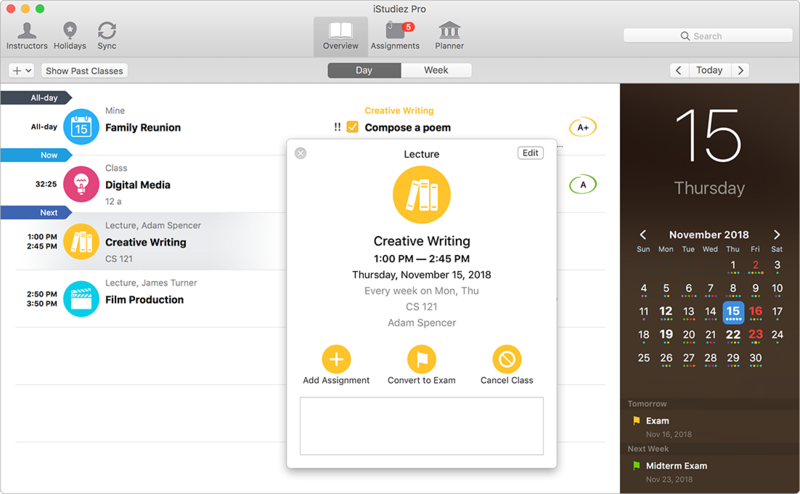 See the schedule from iStudiez Pro in your Calendar app. 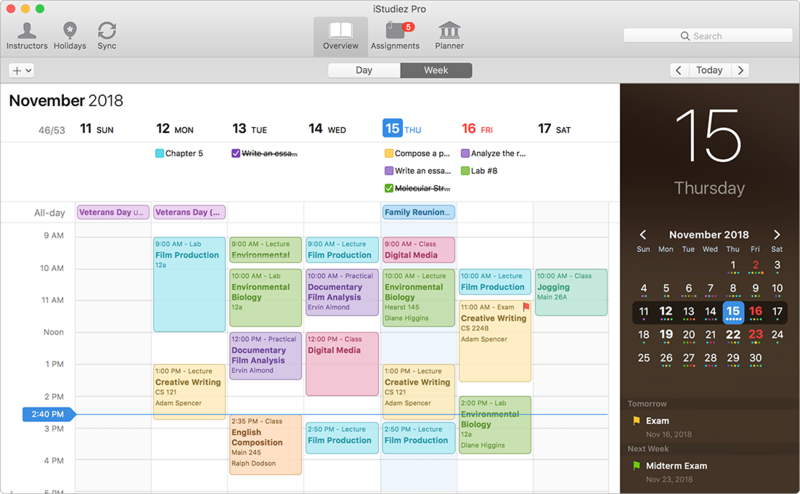 Check the events from Calendar app in iStudiez Pro. © 2009-2019 iStudiez Team. All Rights Reserved. iPhone, iPad, and Mac are trademarks of Apple Inc., registered in the U.S. and other countries. App Store is a service mark of Apple Inc.